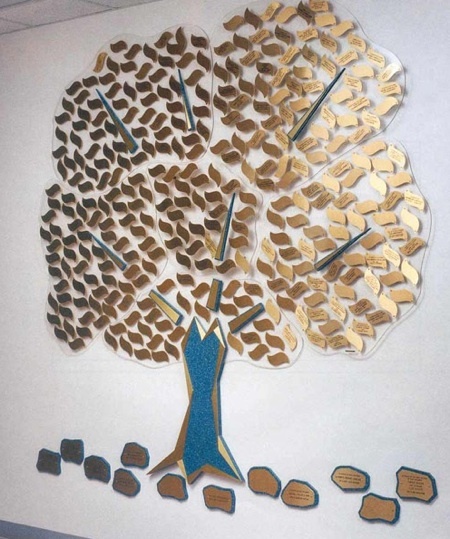 Donor recognition tree with 400 - 2" x 4" brass leaves are mounted in a scatter leaf design onto interlocking Plexiglas islands. The tree base and branches are Corian with satin brass highlights. The rocks at the root have additional space for large donors or founders.